While passing the guard of an opponent, continuously attempting one pass into another is an idea that has escaped very few. If you are feeling close to a pass, you take it. If your opponent is defending it well, switch to the next attack until they don’t defend as quickly. However, the idea of constantly pressuring your opponent should not be lost after you get the pass though, and this is one thing that does escape some practitioners. In any position you find yourself, offensive or defensive, rerouting and changing your attacks is the best way to get what you want. Here’s a great example: Say you are in the bottom of side control. Your immediate reflexes are going to be hipping out, and that’s perfect. What better way to escape side control than replacing guard, right? Well when somebody tries to escape side control with you using this technique what do you do in return? Answer: You stomp that escape. After a good five hundred times of somebody trying to hip escape your side control, you figure out what’s up. 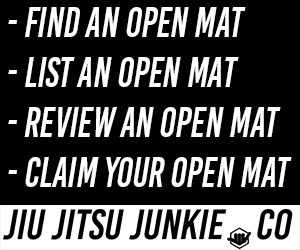 Well the same goes for everybody else, so when you go to replace guard from the bottom of side control its likely your opponent is ready for that. At this point you have a choice that I see too many people screw up. When somebody sees you hip escaping the white belt in you says “That didn’t work, so lets do it again except HARDER.” This is the voice that you should ignore. Yes, hip escapes are awesome, but they are much less effective when your opponent is ready to defend it. Alright, so what’s the right answer to this side mounted philosophical struggle? It’s so easy it seems dumb, but switch up your escape. When you hit that knee escape, but your opponent is ready for it, how do they react? Knowing the answer to that question will mean you know to answer to the side mount problem. Reacting to what your opponent attempts before they realize they’re attempting it, that’s how you stay 4 steps ahead of them. Say they start scooting towards your head in intense fashion. That will shut down your hip escape, but it will give you space to get an escrima (underhook) and roll to your belly for a single leg. Now, even with just those two techniques you are looking at an escape. Your opponent could possibly defend your single leg attempt by scooting back down towards your hips, but that is perfect for your hip escape. Now is where the pressure comes into play. Switch between these escapes. Your opponent is going to defend one, then the other, then the other. At some point though, they will over commit to one of the defenses, and that’s your opening to succeed with the other. After a while of switching from drive to reverse as fast as you can, you’re going to miss and hit neutral for a second. That second is your chance, and you must take advantage of their mistake. Defensive tactics are a little bit odd to think about when pressuring, but I bet you get the idea at this point. Keeping your opponent defending your techniques is what will give you an opening to escape. It is pretty easy to defend a single technique if you know that is the only thing coming. When there are multiple factors to consider, it becomes a lot harder to defend and tends to lead towards defending in the wrong ways, or not defending something at all. So you can use constant pressure to pass guards, escape side control, and now we’ll look at how it helps with back control. The biggest point with back control that makes a difference is being able to take it well and keep control until the submissions can get set. Really, if you can do those three things you are looking great. Relating them to pressure comes down to utilizing all of them together, instead of each individually. Focus on using your feet as hands, as well as your hands. Let’s say, you are taking someone’s back from turtle. You have to open them up and usually end up getting one hook in at a time, and somewhere along the way getting good seatbelt (over/under) control. Using pressure in this situation is a matter of choke verses control. You have the choice, as the attacker, between the two. The majority of practitioners seem to focus squarely on taking the back if they haven’t gotten points yet (or just both hooks). This sometimes may be a bit counter intuitive. The more you focus on taking your opponent’s back, the more they can focus on keeping you off their back. Instead of committing entirely to taking the back, attempt some submissions as well. You can lock up a rear naked choke without getting your hooks in, it’s just a bit different to finish. For your opponent to defend the choke, they must bring their hands up to block your hands from locking in the choke. By bringing their hands up, they will open up gaps and the opportunity to sink your hooks in. But wait, when you start to take their back, they bring their hands down to push your feet away. Now that’s your cue to keep tightening the chokehold. Oh man! Getting your back taken doesn’t look so bad compared to getting choked out, so they bring their hands back up. You can see where this is going. They have to defend one of the two pieces, and each defense opens up the other attack. It’s a nasty little circle of pain and anguish for your opponent. The more pressure you put on your opponent, the more likely they are to mess up. If you only give your opponent two options, then you know what they are going to do and have an answer ready. Back and forth and back and forth, sometimes that’s all it takes.